There are always dogs in need of adoption. 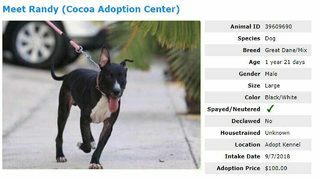 In celebration of October being Adopt A Shelter Dog Month, Central Florida shelters are running special deals and holding adoption events to help give shelter dogs a new lease on life. If you feel it’s the right time in your life to adopt a dog, give these shelters a try, and if you can’t adopt a dog right now, consider making a donation to a local shelter to help those furry friends in need. 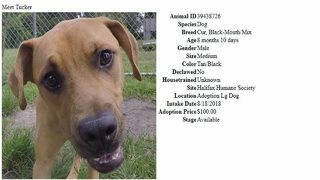 Each Friday to Monday in October, the Halifax Humane Society is offering 25% off adoption fees for dogs ages 1 year and older. Want to take home a cat? The shelter is offering 50% off adoption fees for cats ages 1 year and older. The Halifax Humane Society will be at the Petco National Adoption event Oct. 6 and 7 in Port Orange. 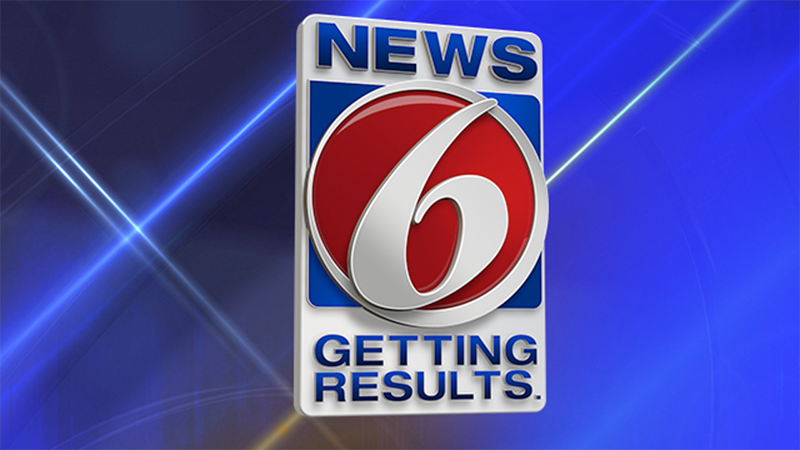 It will also have a fundraising event called Ruff Ride Biketoberfest Poker Run on Oct. 18. For more information, visit its website. 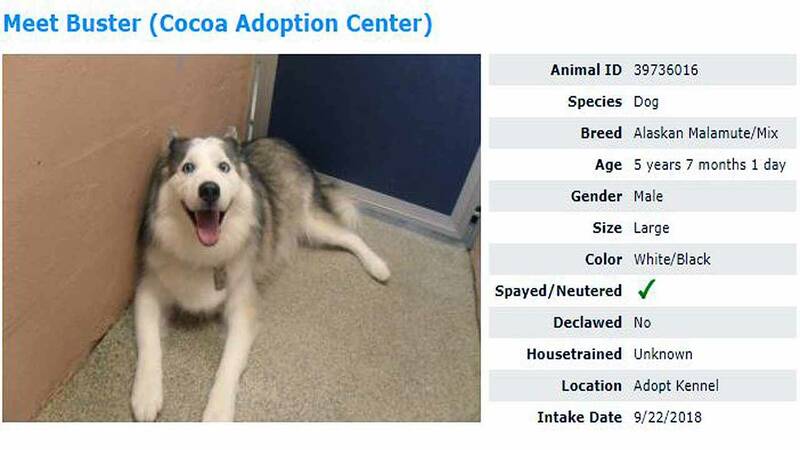 Available at the Halifax Humane Society in Daytona Beach. To help the animals rescued during Hurricane Florence, the Brevard Humane Society is running a “Go Big AND Go Home” special where the adoption fee will be just $30 for the first 30 adopters of dogs weighing 40 pounds or more. The shelter will be present at the following adoption events: EGAD Dog Days on Oct. 5, Paws & Pints on Oct. 6, Coldwell Banker Paradise on Oct. 13, Woodhaven Homes on Oct. 20, Cocoa Village Fair on Oct. 20 and Merritt Island Home Owners Association on Oct. 27. For more information on events, visit the shelter's website. Pet Rescue by Judy is offering 50% off adoption fees for both cats and dogs 2 years of age or older for the month of October. If you adopt a dog from the shelter during this promotion, you’ll also receive a free Kuranda-style dog bed (while supplies last) as well as a gift supply bag for your new companion. In addition, during the OneBlood Blood Drive on Saturday, Oct. 6, from 9 a.m. to 2 p.m., the shelter will be selling dog beds for $10 and other various dog and cat supplies in the shelter lobby and outside, close to the big red bus. Pet Rescue by Judy will have dogs available for adoption at the following events in October: National Night Out on Oct. 2, OneBlood Drive on Oct. 6, Pet Supplies Plus Adoption Event on Oct. 13, Yappy Hour at Vines Grille & Wine Bar on Oct. 13, Chick-fil-A Adoption Event on Oct. 19, Adoption Event at Sport Subaru on Oct. 20, Yappy Hour at Lucky Lure on Oct. 21, Dine & Donate Event on Oct. 25 and Pet Supplies Plus Adoption Event on Oct. 28. 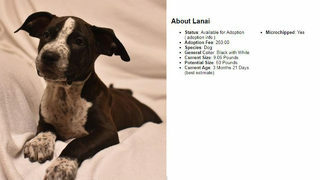 Visit the shelter's website for more information. For the month of October, Pet Alliance Orlando has an adoption special of $31 for all dogs and cats that are 6 months of age and older. For more information, visit the shelter's website. The SPCA of Brevard has an offer during October where you can adopt any dog that weighs more than 30 pounds for $10. The fee includes vaccines, micro-chip as well as spaying and neutering. 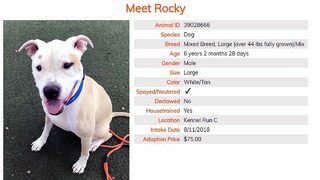 Visit the shelter's website for more information.